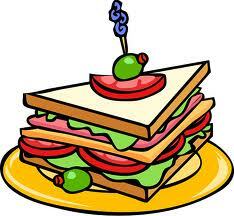 I am a self proclaimed sandwich addict. I think this is in my genes and I think I got it from my dad. 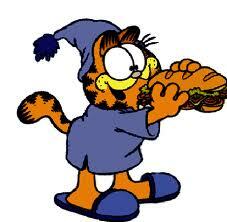 He used to make me my favorite sandwich ever…white bread…Kraft American cheese…Iceburg lettuce and Kraft mayo. OMG…I lived on these. Which is truly funny now since I live and die for whole grains, artisanal cheeses, and olive oil mayonnaise. However there is a sandwich that I love and could live on forever. Really good bread…a sourdough or a ciobatta or a good dense Italian. Spread it lightly with butter…lately we have been using goat cheese butter. Add a huge gigantic leaf of lettuce…Boston, Red, Bibb or even Romaine. Add a slice of summer tomato…salted and peppered. Add a slice of red or sweet onion…lately we have been getting local ones that are to die for. Half of an avocado…put the other half on your husband’s sandwich because even though he says he doesn’t want one…he really does and will try to sneak yours if you are not looking. smoosh the avocado down with your hand making a lovely thick spread. Add tomato and other piece of toast. Slice this in half if you dare. Put it on your lovely luncheon plate…get two paper towels and eat it. But this is one heck of a yummy sandwich!!! Patty…you just made the absolutely perfect sandwich….now try this for a slight twist…melt a piece of muenster cheese on it! yummy!!!! I used to eat lettuce sandwiches when I was a kid. Sounds bland but on Wonder bread with REAL mayo and crisp lettuc leaves it was great. Got stuck to the roof of my mouth but loved it anyway.